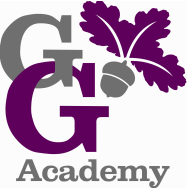 Friends Of George Grenville (FROGG) is the thriving PTA group at George Grenville Academy, all parents are automatically members. We work to establish strong home-school links, a sense of community and raise money through social events. We organise fun activities for the children throughout the year such as school discos, cake sales and hot dog days. Our two large fundraising events of the year are the Spring Fayre and the Christmas Bazaar. We also run a Birthday Book scheme which helps replenish the school library. There are many ongoing schemes which parents can use to generate funds very easily- see the Ongoing Fundraising Initiatives on the right of the page. We are always open to new ideas and welcome any time and energy parents can give to fundraising events. Every penny we make goes to help enrich your child's experience at Grenville enabling the purchase of those extra things that the school budget cannot cover. As well as all the information here we also have a notice board (as you approach the school office on the left) which you can have a spot to advertise things such as second hand goods, a weekly spot on George Grenville News and our committee are always happy to chat at our many events and around school. If you have any suggestions for events to hold, fundraising ideas or would like to lend a hand, please contact a member of FROGG. Please email the school office with 'FAO FROGG' in the subject line or leave a note at the school office with your name and contact telephone number. Second hand school uniform sale - this is held once every half term in the library, and it gives you the opportunity to purchase good quality second hand uniform at very affordable prices. Bag 2 school - in the school grounds (next to the staff car park) we have a large blue bin for second hand clothing, shoes, bedding etc. Cash for Cartridges - there is a box in the corridor outside the kitchen where you can put all your old cartridges. Yellow Moon - You can order by phone or online at any time of the year, just please remember to quote Grenville's code in order to attribute the commission from your order back to the school, our unique code is SGR11451. Everyclick.com - please go to this site, enter Grenville as the charity you would like to support and set Everyclick as your homepage, this costs you absolutely nothing but every time you search online you will generate money to the school. Giving Machine - you can generate free cash donations for Grenville every time you shop online. It will not cost you anything extra - the shop pays the donation on your behalf. remember to shop at The Giving Machine every time you shop online!